PIC: @TheOtherYoshi took Jackie Brown to work today bc I’m a bad influence. We watched cat videos on YouTube yest. PIC: @TheOtherYoshi took Jackie Brown to work today bc I’m a bad influence. 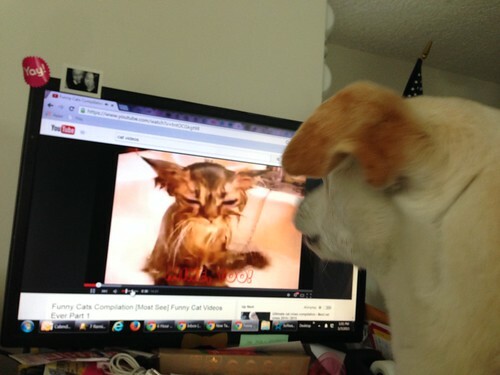 We watched cat videos on YouTube yest., originally uploaded by @jozjozjoz. The jozjozjoz.com archives for Friday, May 8th, 2015.